Octopuses are molluscs with eight tentacles bearing suction cups, and they live in shallow waters in temperate zones around the world. A mysterious and strange looking animal, the octopus has always fascinated man, who gave it a superhuman size and powers. 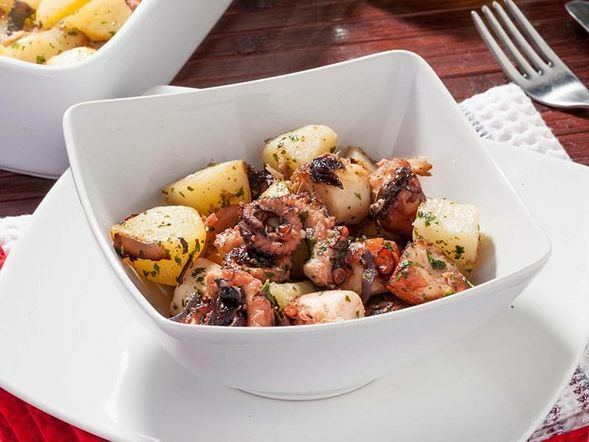 For many centuries, octopus meat has been popular throughout the Mediterranean, Japan and other coastal regions around the world, but is generally not eaten in North America where it is used as bait. And yet, including it in our menus would make sense because of its taste, easy preparation, and nutritional qualities. 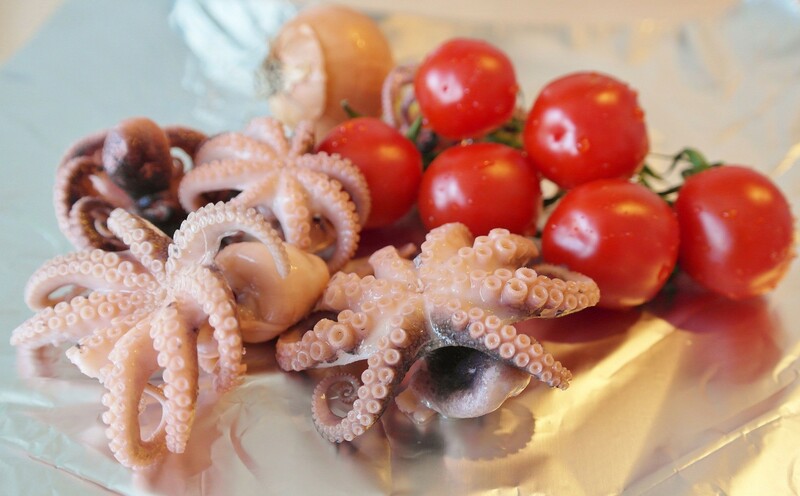 Already cleaned and frozen octopus meat is now available in the best fish markets and ethnic grocery stores. Freezing is also the best way to tenderize it. Thaw it quickly and then boil until tender. Cooking time should be about 30 minutes for 1/2 kg of meat. Originally published in the Journal de Montréal on September 21, 2013.